and custom manufactured vinyl solutions expert! 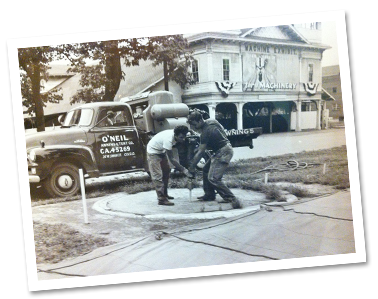 Started in 1886 as O’Neil Tent and Awning Company we proudly served the tent and awning needs of the Central Ohio community. Over time, we began to move away from the awning business and in the 1960’s made our main focus on tent rental in Columbus, Ohio and surrounding areas. We have been serving the tent needs for corporate functions, wedding/party planners, festival organizers, sporting events and the special event industry now for over 50 years. We have built our reputation as a first class, full service equipment provider looking to make each event the best it can be.